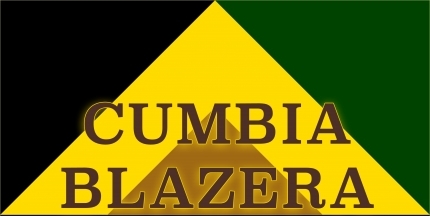 Born out of the Wellingtons Sunday Football League ’Sunday Blazers’, “Cumbia Blazera” are a football club that play uptempo dancy music or maybe they are a band that play uptempo fancy football. Cumbia Blazera feature members from some of Wellingtons most prominent bands and when they eventually got together they tapped into their latin style of football and just started playing Cumbia music. Some say it was magic but others say it was probably the easiest music for them to all remember quickly! Cumbia, for those yet to experience the ‘latest’ in latin song and dance (the genre actually dates back to the 18th century), began as a courtship ritual among the slave population of Panama and Colombia, and is a mash-up of indigenous Indian, European, and African instrumentation and rhythms. Every song is designed to help you catch the attention of that special somebody so if you have your eye on someone, get your peacock on and dazzle them with your hip swaying. There’s lots of opportunities to sing along and lose yourself in the music so even if love is not of the horizon we guarantee you a party you won’t forget.